Indie bundles are brilliant. You’d have to be the lousiest kind of curmudgeon to think otherwise, but there’s a niggling problem inherent with taping a cluster of discounted games together, one that’s been scratching around the backs of our skulls since they exploded into fashion: they nearly always contain a game you already own. Bundles aren’t neat, often leaving you covered in digital game crumbs. IndieGameStand aims to side-step this problem. It’ll place a new indie game on sale every four days, DRM-free, for however much you’re willing to pay, with 10% of proceeds donated to the developer’s chosen charity. It’s a laser-focused alternative to the Humble Bundle’s shotgun, and it launches on September 26th. PCGN’s Julian Benson spoke to IndieGameStand’s Mike Gnade about the new service. PCGN: How long has this project been in gestation, and was there something in particular you were reacting to when you developed it? Mike Gnade:I think the idea first came up in January of 2012. I actually just searched my email to check when I first met with Gigamyte to talk about the visual design. That was in February. Man, this has taken a long time! When I originally conceived the idea, I was reacting to all of the bundle sites. As an indie gamer, I think the bundles are great, but I have so many of the games included and hate rebuying stuff I already have. My wife is big into checking Groupon / Living Social so I sort of mashed the two ideas together. I also love the idea of spotlighting one indie game developer on the homepage at any one time. The site has gone through a ton of iterations since its original concept. 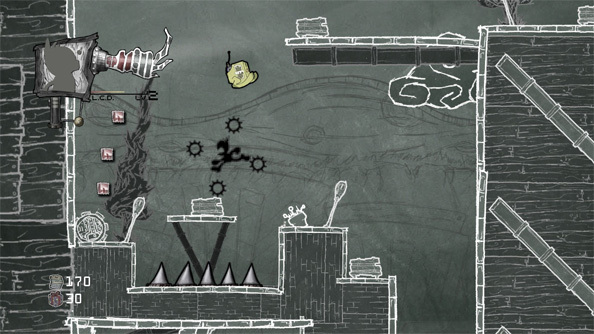 It started at IndieGameBin, butdevelopers told us ‘bin’ has a bad negative connotation and means ‘trash’ over in Europe. 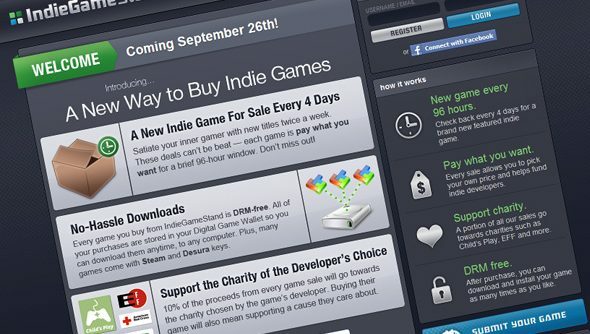 Then we switched to IndieGameBundle.com and stuck with that till about two weeks ago when we said to ourselves, “our site isn’t really another bundle site”. Bundling is an option, but it’s not the focus. We’re doing something different. We’re much more of a Woot! or Groupon for indie games. We spotlight one product. PCGN:The Humble Indie Bundle always seems like a big event – they’re irregular, unannounced, and always changing up their formula – you, on the other hand, have a very regular release of games. What are you going to do to draw attention to the games, to make your new offer stand out and known about? MG: I think the Humble Bundle is straying away from the Indie moniker. They’ve done music bundles and included games that were backed by publishers and stretch the indie definition. I have also heard that they require games to be available on PC, Mac, and Linux which eliminates a ton of awesome indie games. That being said, Humble Bundle is an event. Our site is definitely going to be more of a service. It’s going to be consistent and offer/spotlight a new indie game every few days. I think our site is going to cater more to gamers who are always on the lookout for a new game to try. Much like Groupon/Woot users regularly check those sites for the daily deal. I think our service is different enough to stand out by itself. We’ve had over 5,800 people register on the site in a little over 24 hours. Gamers are marking their calendars for September 26th. PCGN: What do you ask of the developers submitting games? Must they have already been released, or are alphas going to appear also?MG:Our requirement is that a game is in some playable form. Our service can totally spotlight games that are in alpha or beta. We actually think it is a great way to get a bunch of users to give you feedback on a game you’re working on while you make some money to help fund the completion of the game. PCGN: How does the dynamic bundling work? 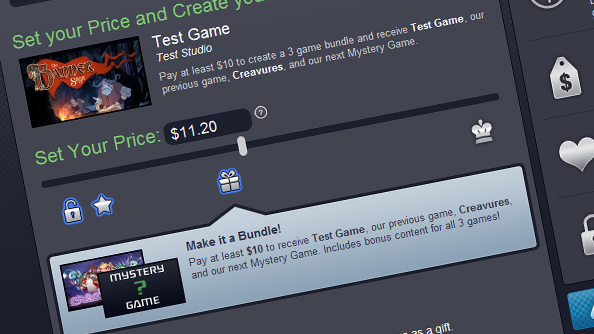 MG:During checkout, users are given the option to get our previous game and our next “mystery” game for $10. So during any given game spotlight/sale, you have the option to bundle that game with two other games for $10. Three games with bonus content for $10 is a great deal. PCGN: Can you tell us a little about the submission and selection process? MG:The selection process started with me reaching out to indie game developers that I was familiar or in many cases just a huge fan of their game. We’ve had a good number of developers testing out our developer portal for over a month now based on this personal selection process. We’ll be manually scheduling this first crop of games for the launch of the service. Right now the submission process is simple. You just fill out a form and send it to us. We’ll look it over and give you access to the Developer Portal if the game looks interesting. We are working on a calendar that will display the available sale dates and let developers select a 4 day block.In the future, after a developer selects a sale block we’ll review it and make sure their game works, they have their keys uploaded, a good video, bonus content, etc. and then approve the game for that time slot. PCGN: You’ve deliberately avoided the traditional bundle. Why is this? Do you think that bubble has burst? MG: We avoided it because bundles are a little boring and overdone. We wanted to be different. I don’t think the bubble has burst necessarily but we didn’t want to be another bundle. I guess to some extent we thought that bundles aredevaluingindie games, but we’re really looking to create more of an open service to help promote an indie game developer and a community of gamers that watch our site and keep an eye out for our hand-selected indie games.